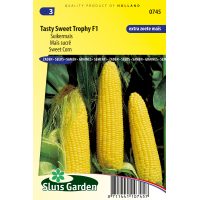 A delicious extra sweet corn, which can be eaten both cooked and raw. Also suitable for the somewhat colder weather conditions. Best sown directly in the garden in rows. 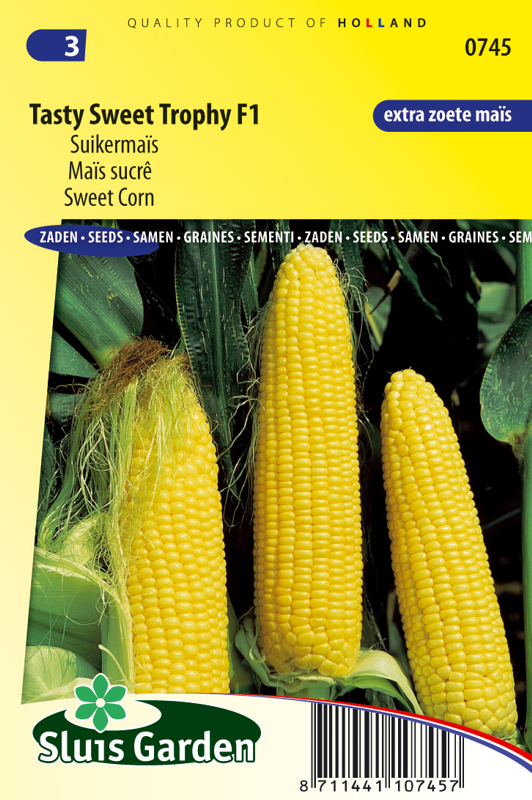 Sweet corn prefers higher temperatures, so do not sow outside before mid May. The soil temperature must also be at least 10ºC. Corn is a wind pollinated plant, so it is better to grow in 2 short rows next to one another rather than 1 long row. Corn is ripe once the tassel becomes dark and withered.